Education in the 21st century is the most handy tool to lead the successful and prosperous life. However, not every kid in Nepal enjoy the rights of being educated. 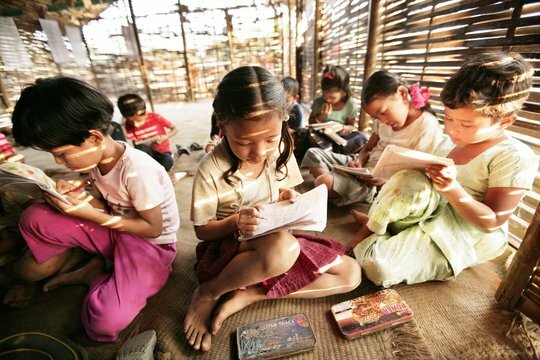 The family disputes, degrading financial status and the lack of motivation sometimes have resulted many bright young kids deprived of education. Kids are the future of the nation and looking at the abandoned kids of Nepal, who have no identification and no purpose of life we assume the entire nation is sinking. The streets of Kathmandu and other major towns have scores of children wondring as street kids. They are homeless and live the life, which itself describes the extreme pain. In the villages the war victim kids have no access to education. Some are forced for child labor and others choose to live a painful independent life- not answerable and accountable for anyone else on earth. The Pioneer Foundation aims to educate as many as abandoned kids and offer them opportunities to equip them with the skills so that they can lead the life that has happiness and a purpose.